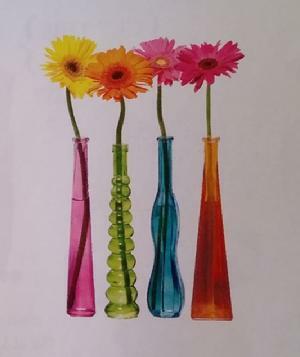 N3371 - Make a statement with these brightly coloured vases. 12" tall 0.625" opening. Comes in an assortment of all four colours, multiples of 24. Flowers not included.